Grange Farm is a large house and provides 4 star Self Catering Accommodation. The spacious large Yorkshire child friendly holiday cottage provides accommodation for up to 14 people. The house has two sitting rooms, a large dining room with a log burning stove. There is a kitchen, utility room and a conservatory. There are five bedrooms, two bathrooms, and two additional wc's. It is suitable for large groups, a family holiday or for friends wanting to holiday together. Grange Farm is a traditional Yorkshire stone farmhouse. The house is at least 200 years old (we think), but it could even be a lot older. The house has some unique features, like exposed stone walls and door-frames of different heights and widths. Children love to play hide and seek in the house, as there are many rooms to hide in. Over the last 20 years the property has undergone extensive restoration works. Most recent works are: In 2015 the very old sash windows were replaced with modern double glazed sash windows, and in 2016 the roof of the house was renewed, and the insulation upgraded to modern standards, making the house a lot more energy friendly. The house also benefits from solar power. 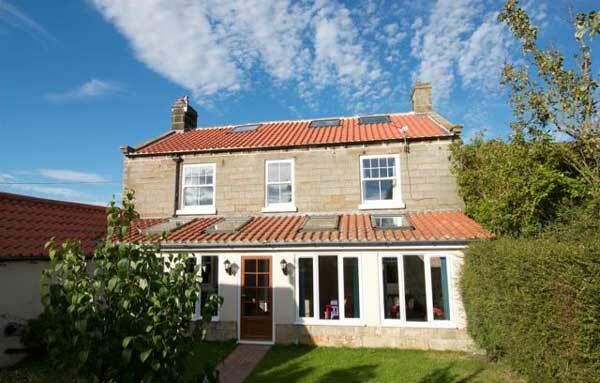 Grange Farm holiday cottage Whitby, is located in the village of High Hawsker, on the Yorkshire Coast. Mid way between Whitby and Robin Hoods Bay, 2.5 miles from each. Both towns can by reached by foot in less then one hour. Grange Farm is an excellent base to explore the Yorkshire Coast and the North Yorkshire Moors. There are plenty of activities in the area. Amongst others walking, cycling and of course exploring the little alleys and streets of Whitby and Robin Hoods Bay. So if you are looking for group accommodation / large family holiday cottages near Whitby on the Yorkshire coast to spend your summer or winter holiday. Or simply want to get away for a weekend break. 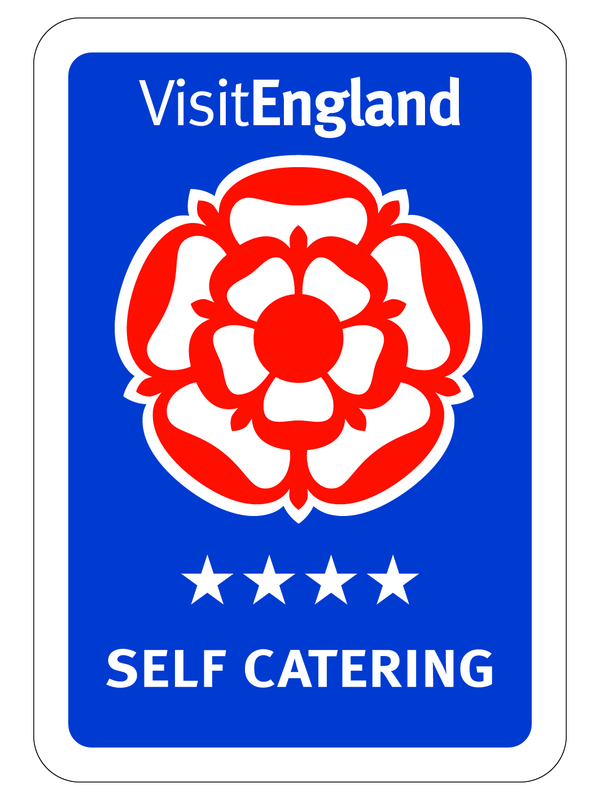 We at Grange Farm Whitby cottages feel sure we can provide you with comfortable self catering group accommodation. Child friendly holiday cottage in High Hawsker near Whitby & Robin Hoods Bay. Our family holiday to celebrate my daughter's 40th birthday with a collection of friends and family dropping in for the week was so much fun. Our expectations of the cottage were fully met - it is comfortable and very well equipped. Plenty of space for old and young alike - easy parking - easy access to Whitby, Runswick Bay, Ruswarp and Sandsend. We would definitely go again if the circumstances allow and will recommend the cottage to our friends and family. Owner's Response: Thank you for your review. We are pleased to hear that you enjoyed your stay and that everything in the house met your expectations. I highly recommend grange farm to anyone with a large family to get away from it all. The house was spotless and had everything we needed. loads of space downstairs, a table big enough for 14 of us to get round, LARGE pans(great) and lots of pots. Dishwasher was good too. Bedrooms were fine but maybe a bit more hanging space would be nice. After the worst December on record for weather we travelled from all corners of the UK to the snowy North Yorkshire Moors full of trepidation as to how cold we were going to be in an old farmhouse. How wrong we were!! The central heating was on full blast and the log fire was burning brightly. The owner greeted us as if we were old friends. Somehow we knew we were going to be in for a good holiday. Within minutes of arrival the Tesco Van arrives with our supplies and plenty of wine!! (Stroke of genius by daughter, recommend to everyone to do this.) So within an hour of arriving it was as if we had lived here forever. The cottage was immaculate, well maintained, well equipped, and the beds were very comfy. Rooms are a good size and the baths are HUGE, especially the romantic 2 person bath in the attic en-suite, perfect for a stargazing romantic evening!! The cottage is ideally suited to large families or groups and is deceptively large and cosy. The facilities for the children were brilliant, the owners had provided a stair gate, high chair and even some toys! We had some wonderful family walks over the cliff tops to Robin Hoods Bay & Whitby itself, and a great time in Goathland(where Heartbeat was filmed). Must recommend The Magpie Fish Restaurant in Whitby. They accommodated our large party (including children and one with food allergies) superbly, and the fish and chips were to die for! Just ring and book a few weeks in advance to avoid the queues. There is plenty to do around the area, even in the snow and we will hopefully return for another visit soon. Our family (8 adults and 6 children) spent a fantastic week at Grange Farm Holiday Cottage at the beginning of July. The house was just perfect! The accommodation is beautiful, maintained to a very high standard and very clean. The facilities in the house are excellent and everything you would need for a large family holiday. The house was perfect for our large family, especially for our family events and fun evenings. The children loved the layout of the house and there are plenty of rooms for the various needs of individual families. 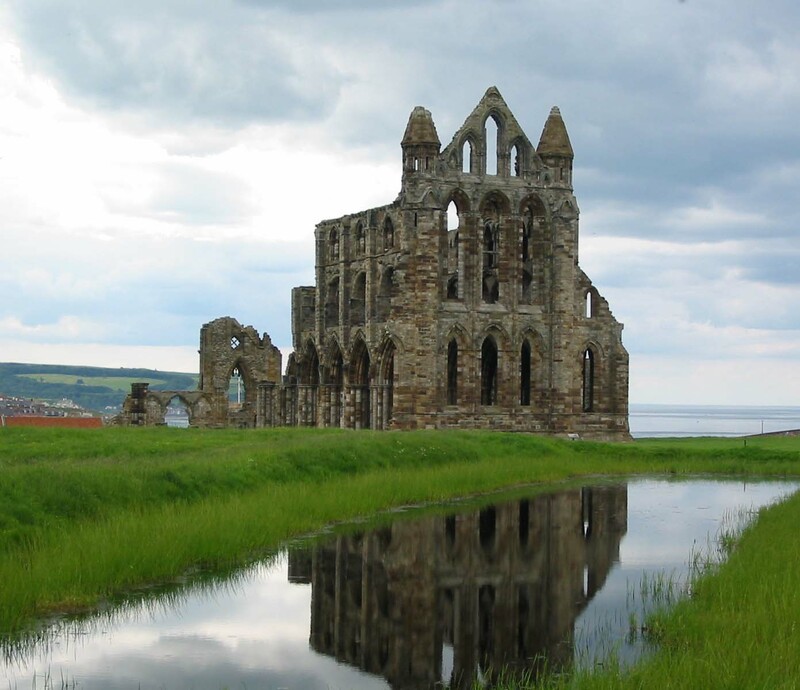 The location of the house was also ideal, just a short drive into Whitby (which was a revelation to us – such a lovely place) and to Robin Hood’s Bay. Our grandchildren especially enjoyed going crabbing! We would highly recommend Grange Farm Holiday Cottage and location – Perfect Holiday – Perfect Home! We spent a week over Easter at Grange Farm. What a beautiful place to stay. When we arrived the Tesco delivery man had beaten us to it, but Denise, the owner had taken our order in for us and even unpacked it! The cottage was very clean and had everything we needed. We had five children in our party all under 9 years old. The cottage was perfect for children and the amount of space meant that they could all play freely but safely. The garden was fully enclosed too. The surrounding area is very pretty. Robin hoods bay was a firm favourite. Would highly recommend a visit to fosse falls waterfall and tea garden, about a 10 min drive away. Very beautiful place to visit. Thank you to Denise for providing us with a lovely place to stay, with everything we needed. Highly recommend booking this cottage, especially for families with young children. Owner's Response: Thank you for your writing such a lovely review. I can not take all the glory for unpacking your shopping. The Tesco delivery man helped as well, as he needed to take his crates back! Sounds like you enjoyed your stay. Falling Foss Waterfall is one of my favourite places as well. "Grange Farm Cottage was an excellent place to celebrate my 7Oth Birthday." We very much enjoyed our stay at Grange Farm. The house is so spacious and warm and comfortable, and it was an ideal place for my family and friends to stay and help me celebrate my 70th birthday. Whitby is such a magical place and holds many happy memories, and this last holiday was no exception. Grange Farm is very well equipped and we lacked nothing, and is ideally placed for access to many lovely walks, including the Cleveland Way. I would certainly recommend it to anyone. A family of 14 enjoyed a wondeful stay in N. Yorks. Grange Farm is large with a great amount of living space, enabling different people to do many different things. A small but sheltered garden was more than sufficient for our annual BBQ. The area is spectacular, with many beaches, interesting towns, cliff walks and the N York Moors on the door step. Sainsburys and Bike Hire are very close by. The property was very clean, exceptionally equipped and well maintained. Thoroughly recommended. 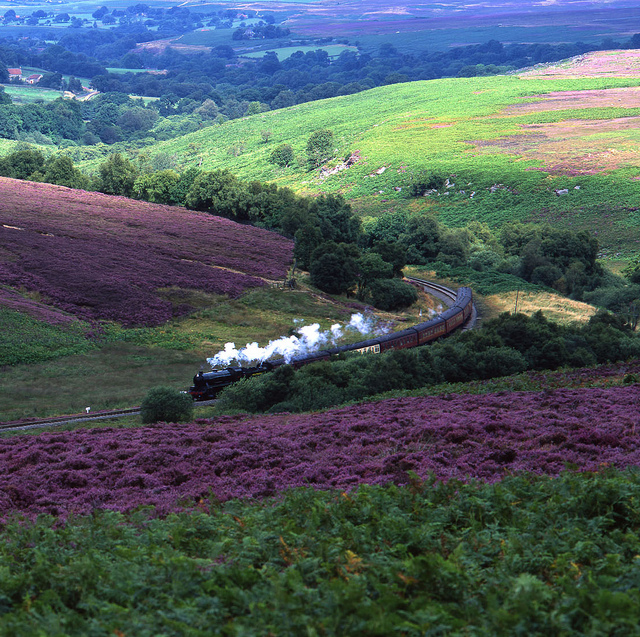 The North Yorkshire Moors National Park, showing the heather in Bloom (summer-time), and the steam train which run between Whitby - Grosmont - Goathland - Pickering. 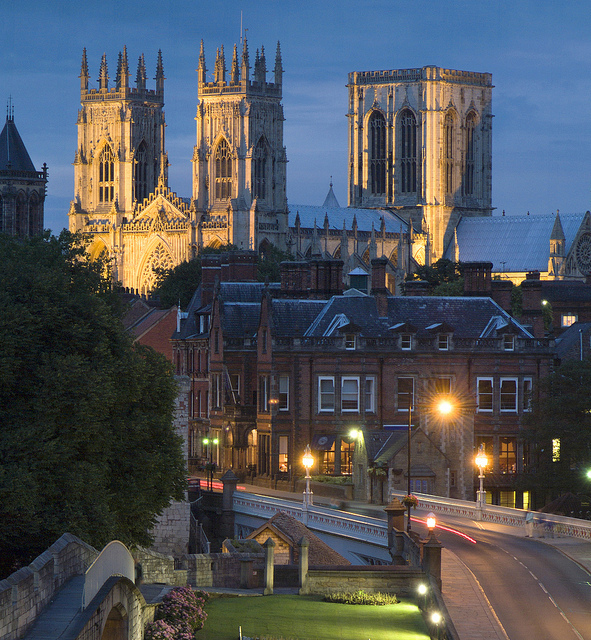 York Minster in York, about 1.15 minutes drive from Grange Farm. 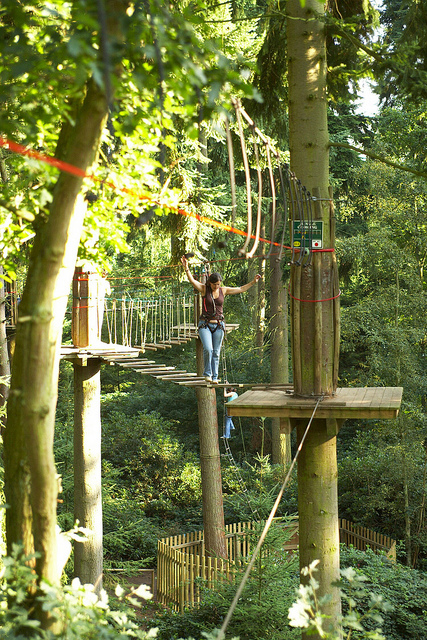 Go Ape outdoor centre in Dalby Forest, about half an hour drive from the house.